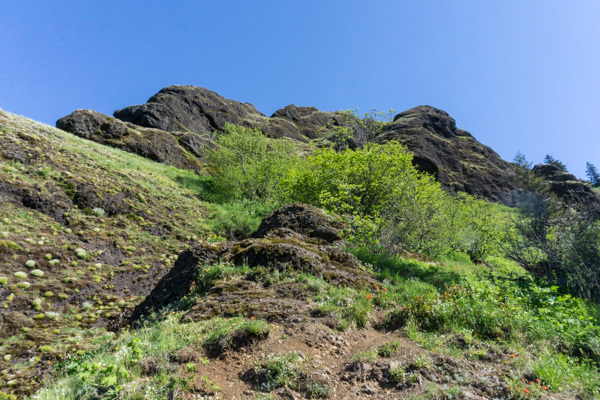 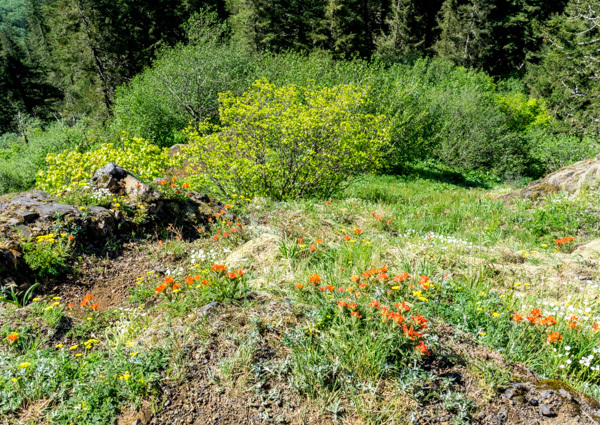 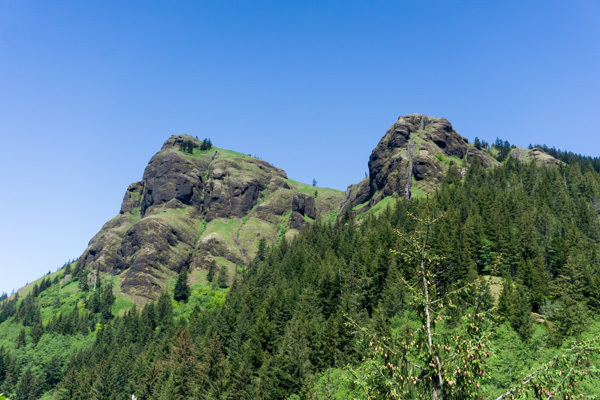 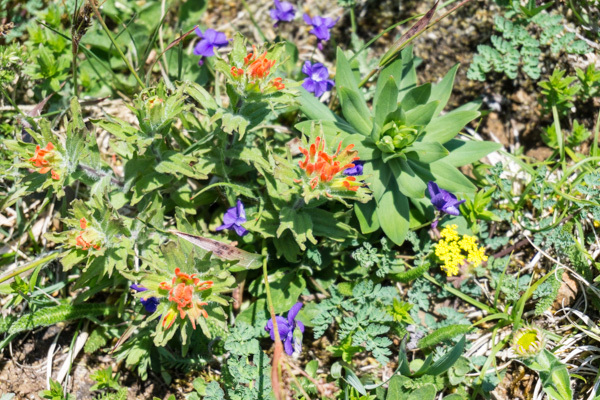 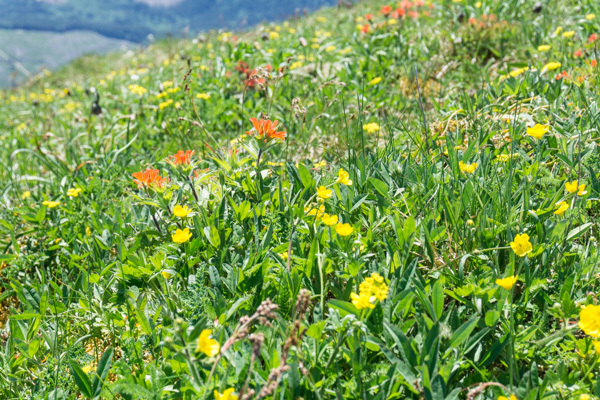 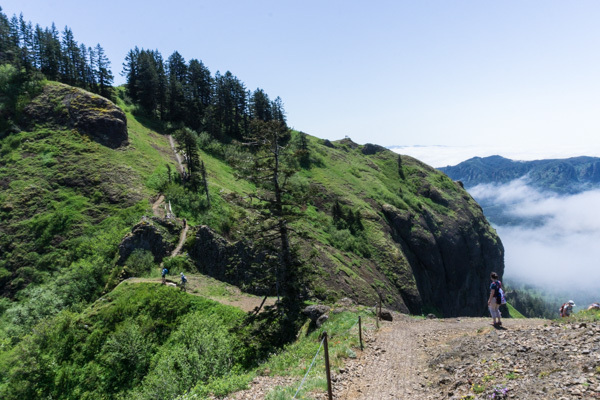 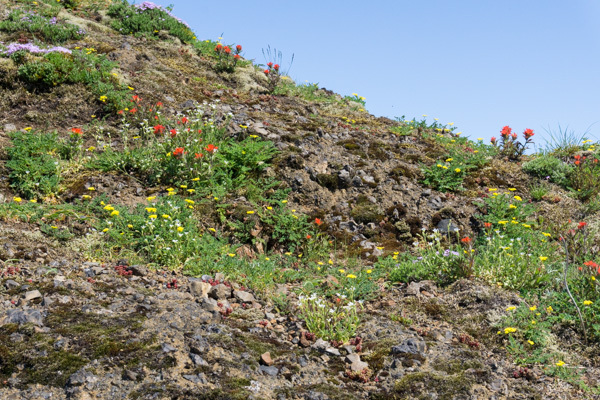 The wildflowers are in full bloom at Saddle Mountain! 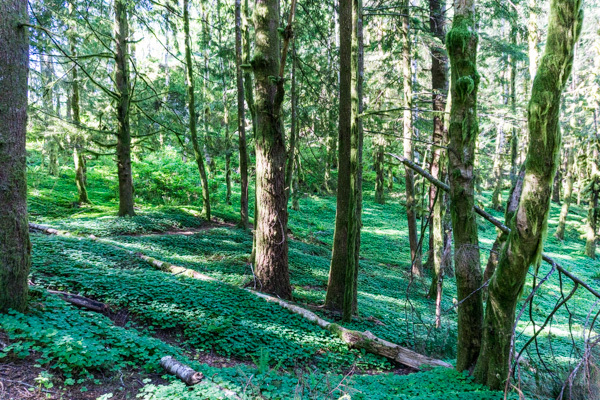 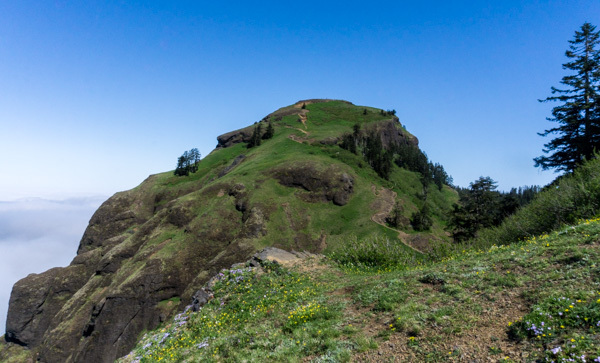 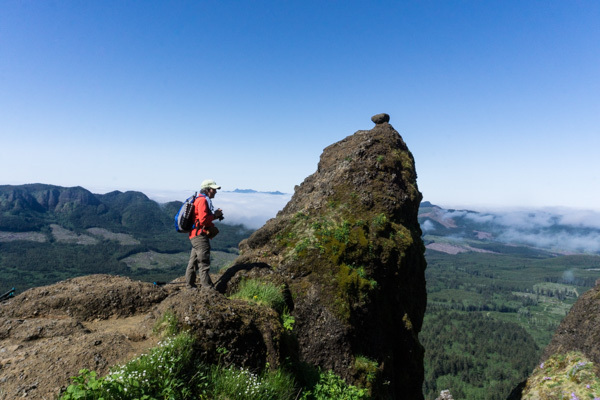 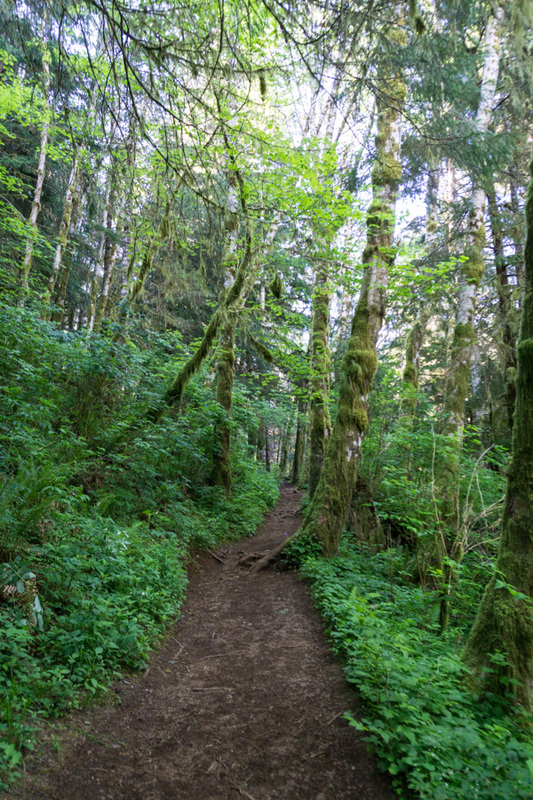 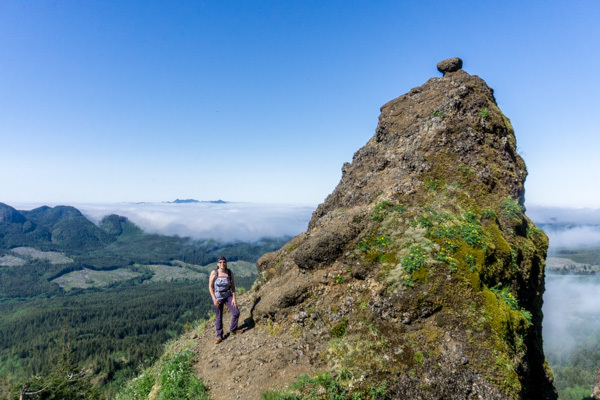 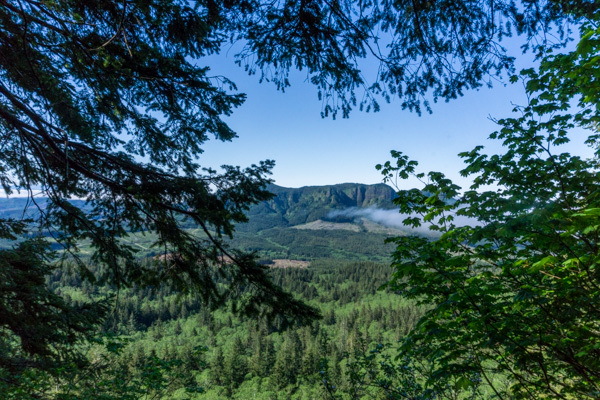 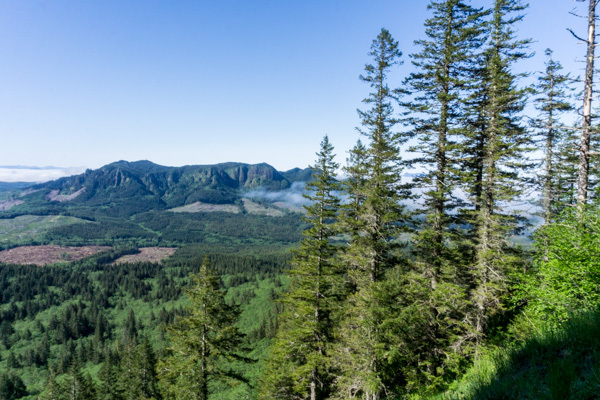 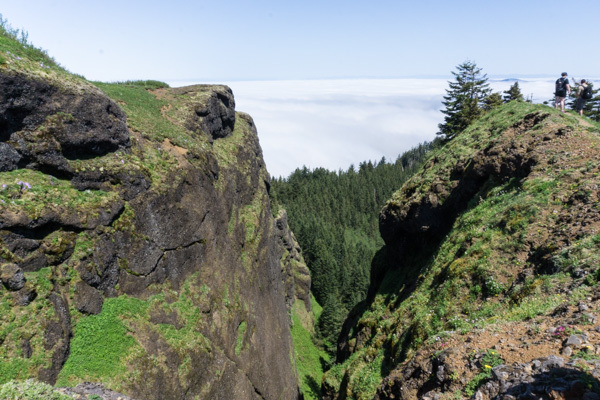 This hike is located about 13 miles inland from the Oregon Coast, just off highway 26. 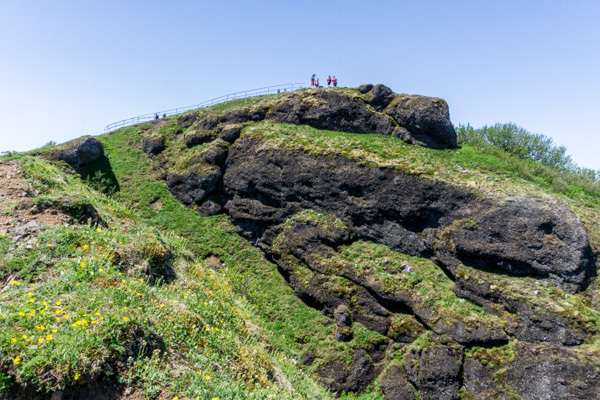 It was super crowded on Sunday, with people parking on one lane of the road for about 1/4 mile after the parking lot filled up. 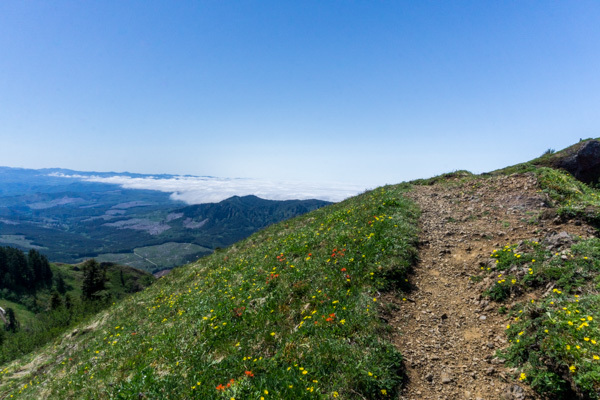 The views from the top are amazing: Mount Rainier, Mount St. Helens, Mount Adams and Mount Hood were visible yesterday. 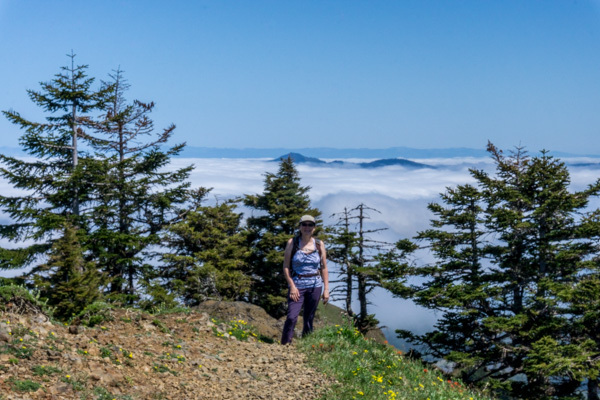 To the west, low clouds obscured views of the coastline, but it provided a cool effect with nearby mountain tops peeking above the clouds. 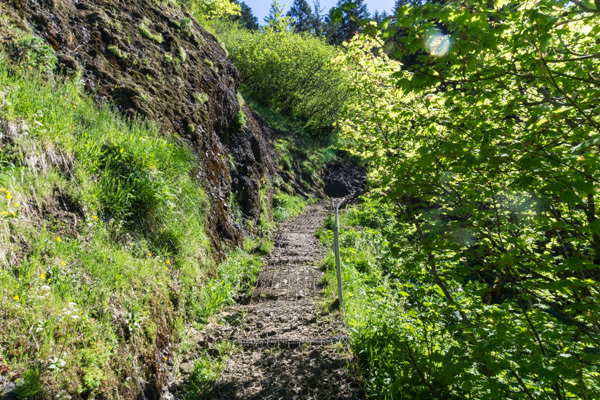 Quite a bit of this trail is covered with wire chainlink to help provide traction on the steep slopes covered with loose rock. 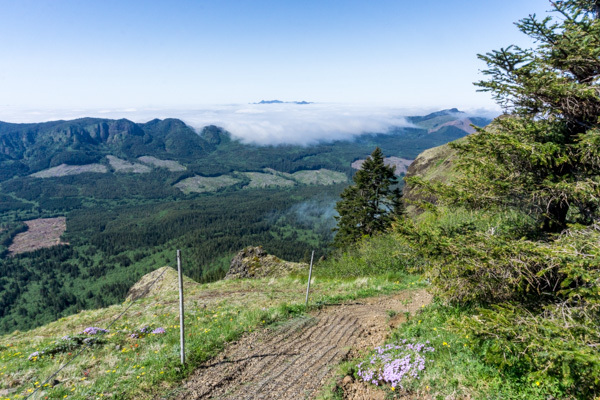 The wire can be hard on dog’s paws, so I’d recommend leaving them at home for this hike.